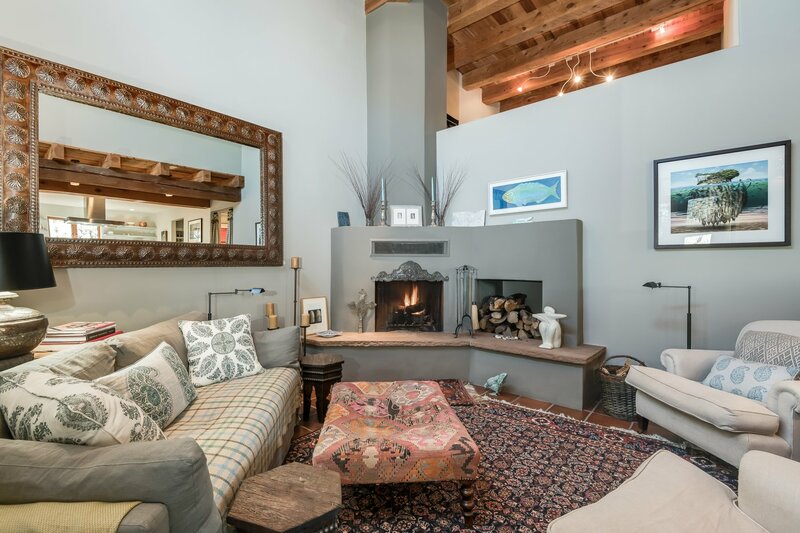 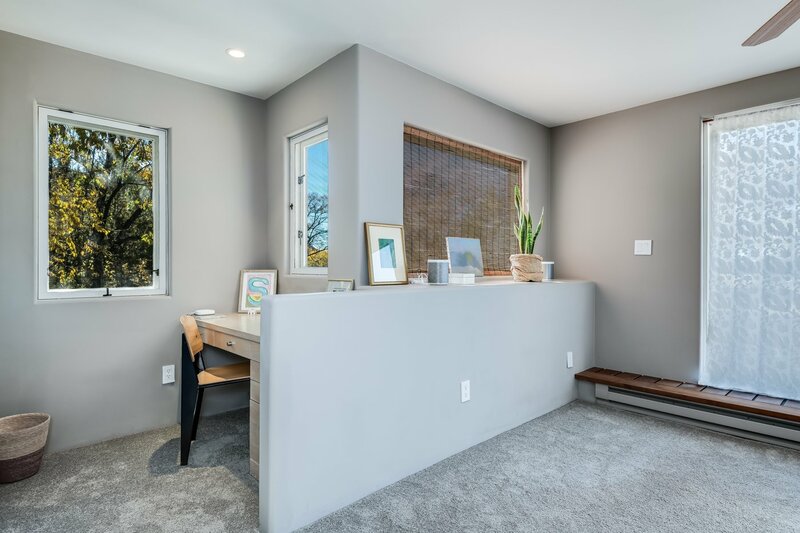 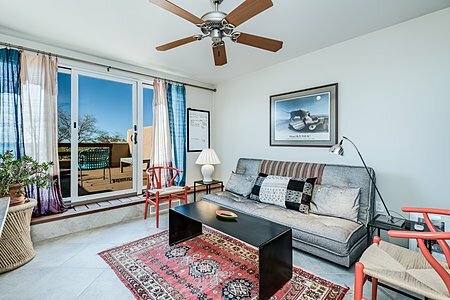 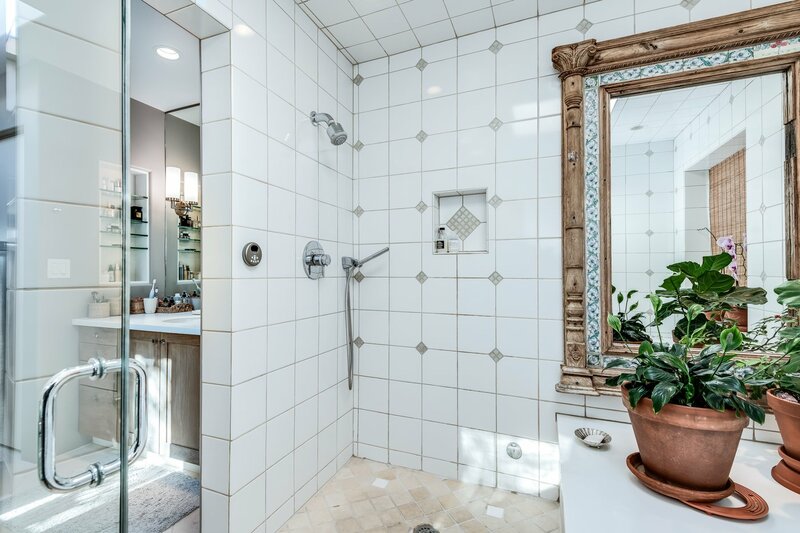 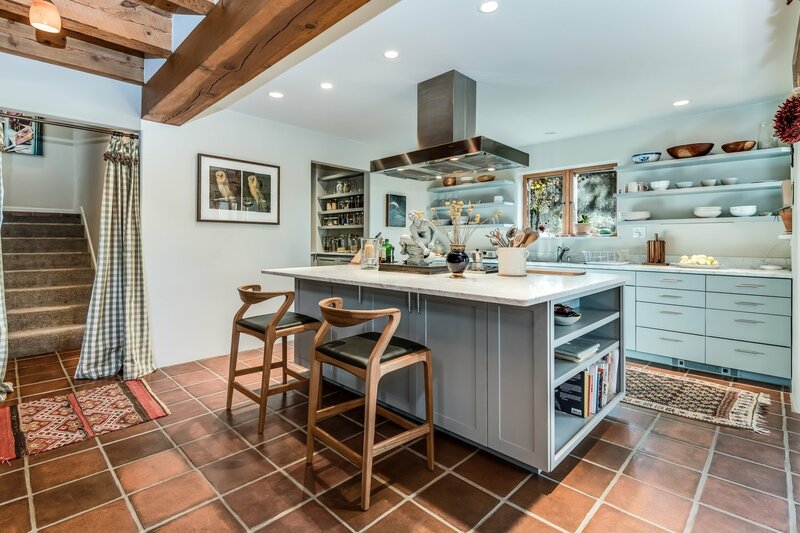 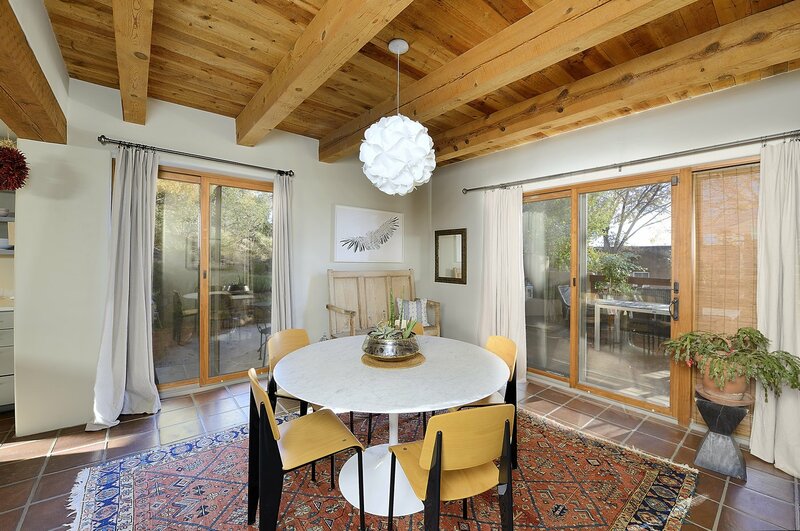 Set in a tree-filled neighborhood off of Palace Avenue in the heart of the on the Historic Eastside, this upscale 3 bedroom, 3 bath condo in the La Vereda Compound offers spacious, tranquil living in a sought-after location. 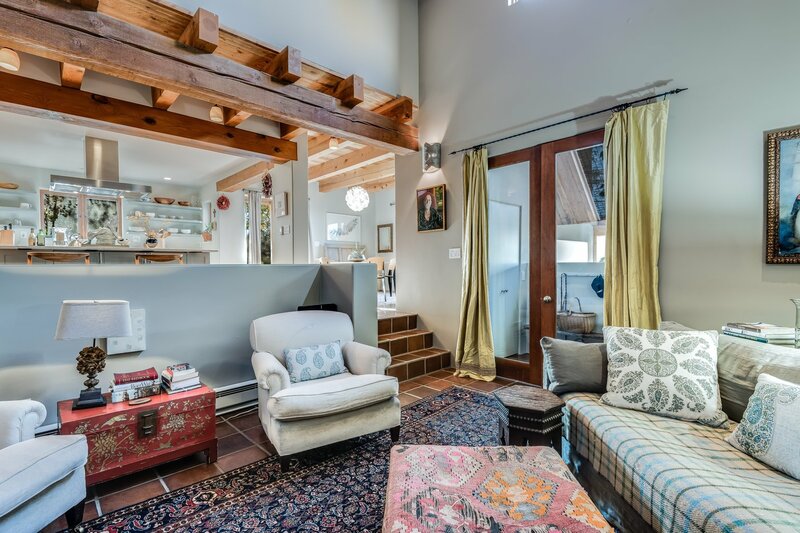 Enjoy an open living area with a warm wood ceiling and stylish corner fireplace. 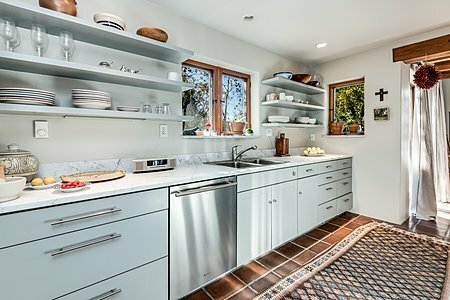 The modern kitchen includes a generous island with Carrara marble counters, a 6-burner propane cooktop and sleek stainless-steel appliances including dishwasher, island range hood, and built-in refrigerator. Floor-to-ceiling windows with deck access create a light-filled master bedroom with a modernized full bath with radiant in-floor heat. 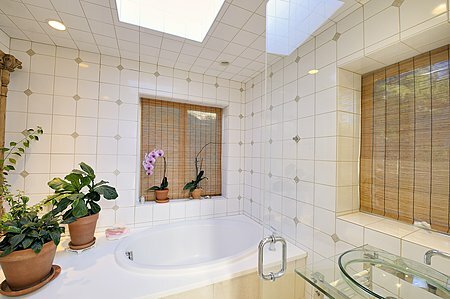 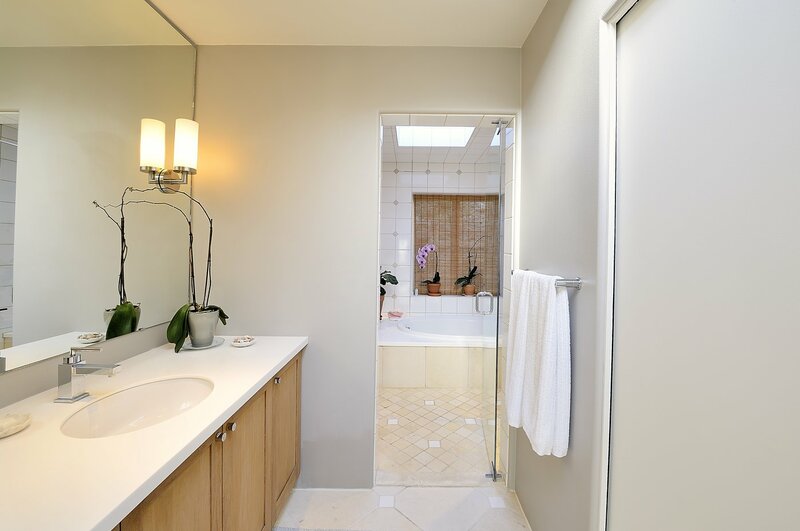 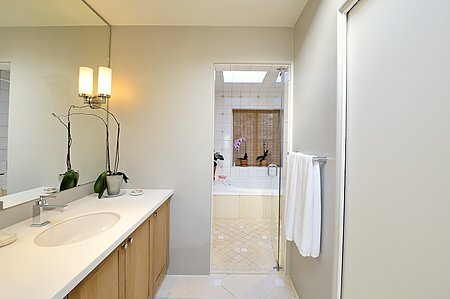 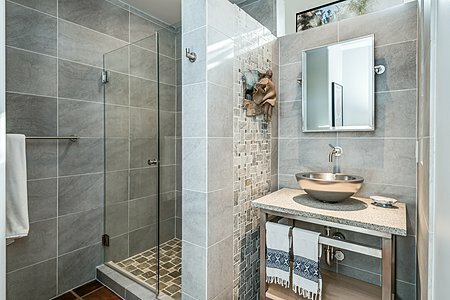 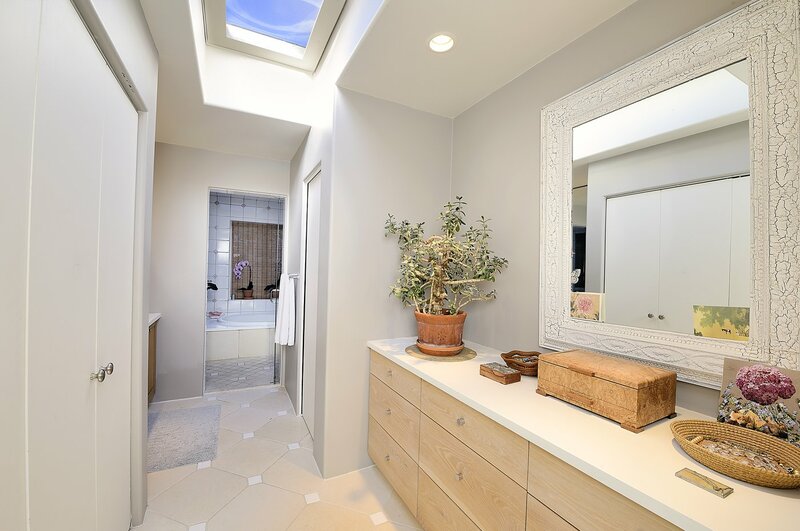 Luxuriate in the extra bath and shower room which is also a steam room. 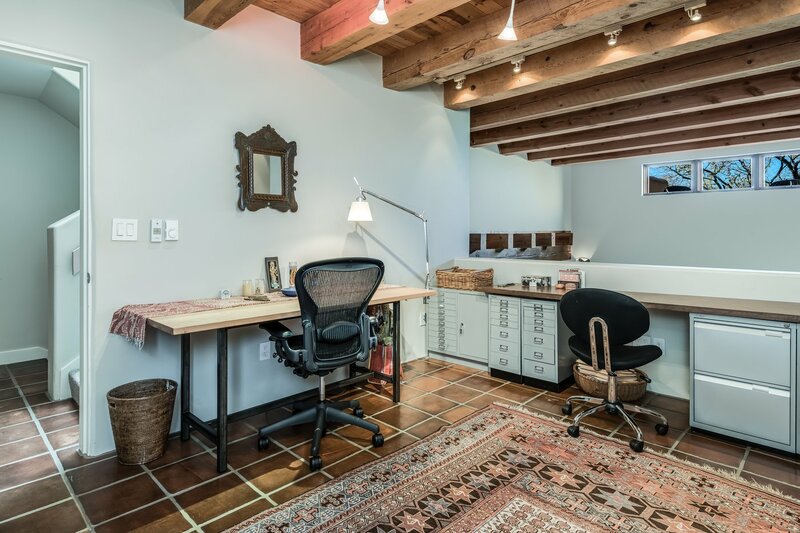 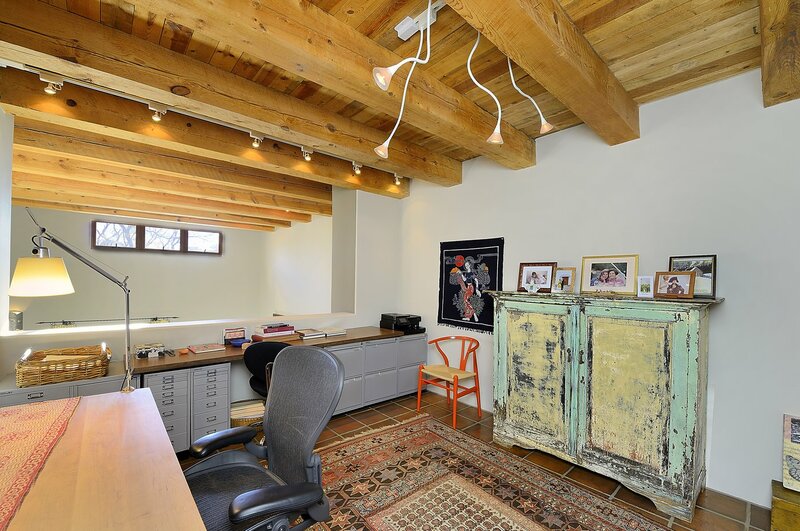 The ample loft provides space for an office or studio. 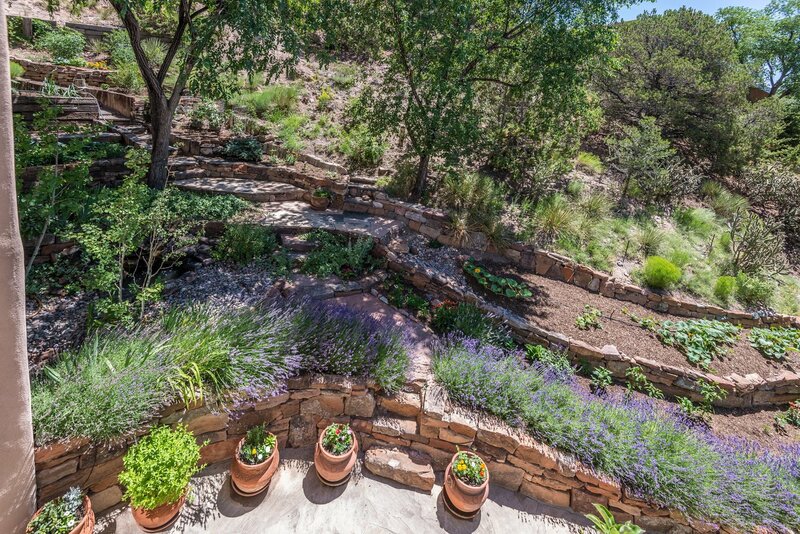 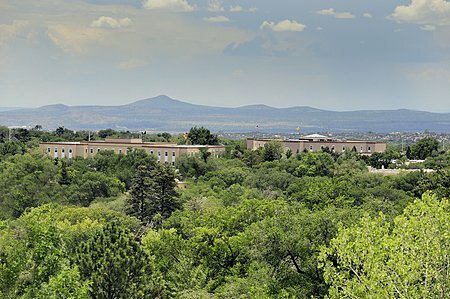 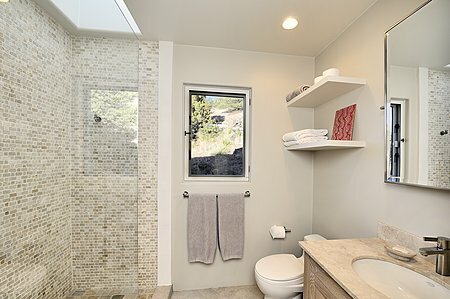 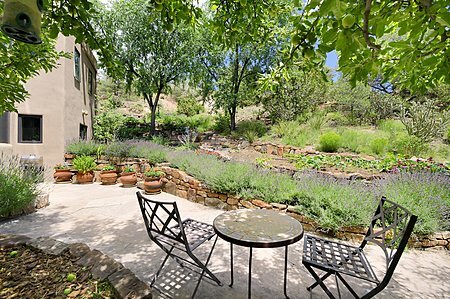 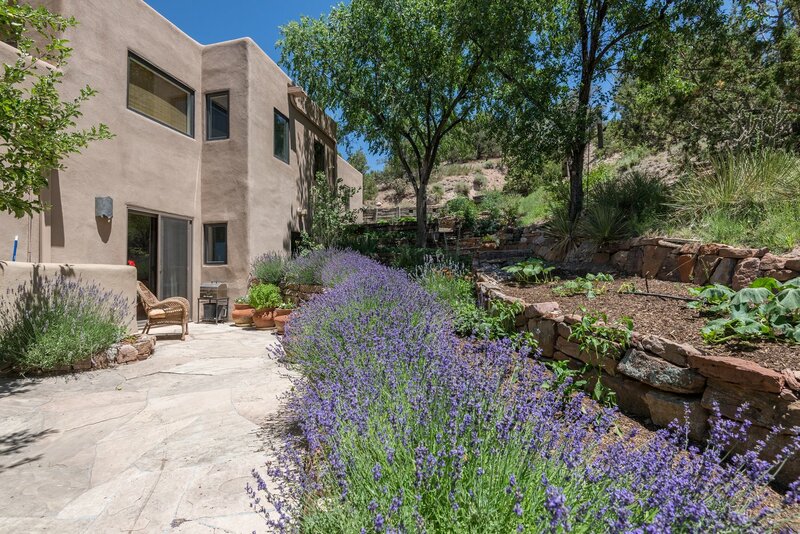 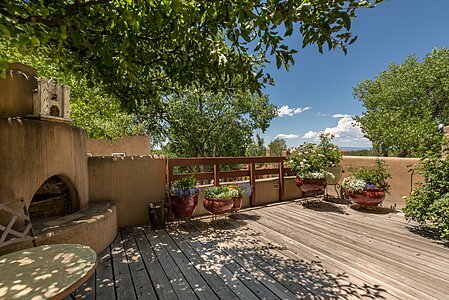 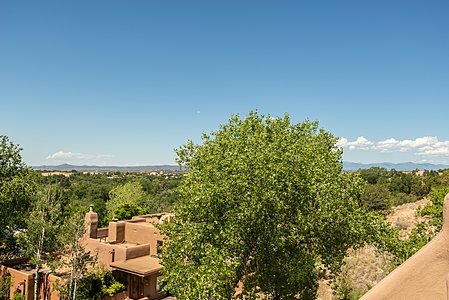 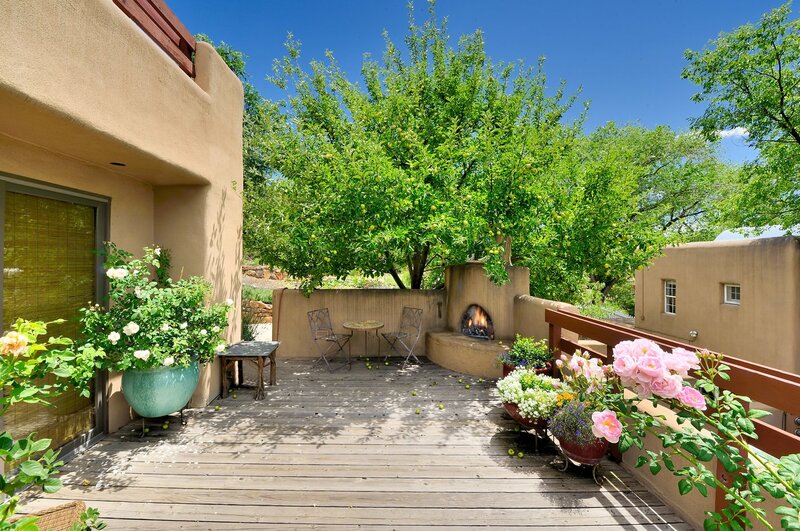 Three west-facing decks have stunning mountain and sunset views of the city to the Jemez Mountains and sunrise views over Sun Mountain. 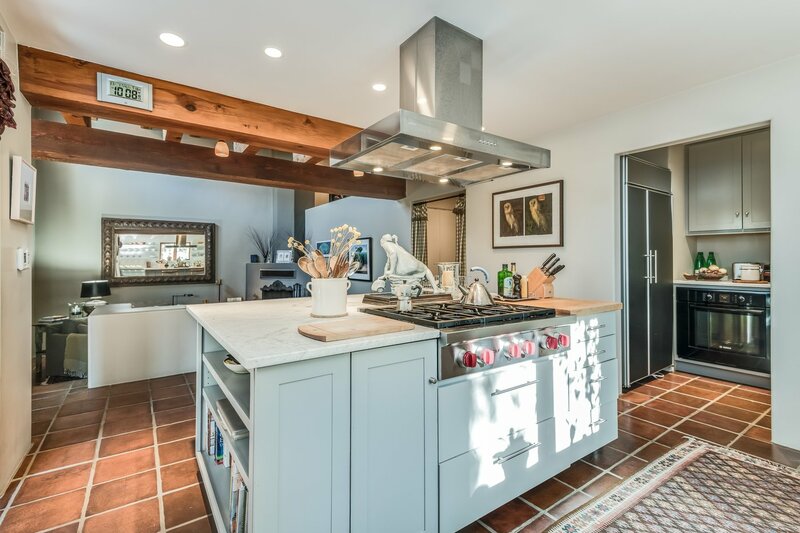 Notable features include hot water heated by three large solar panels, a 2-car heated garage and a lovely landscaped private outdoor garden space with a mature and abundant apple tree. 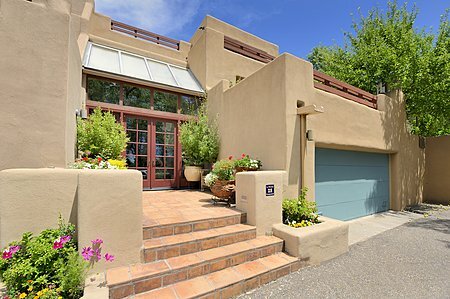 Recent roof and decks in May 2017 and garage door in June 2017. 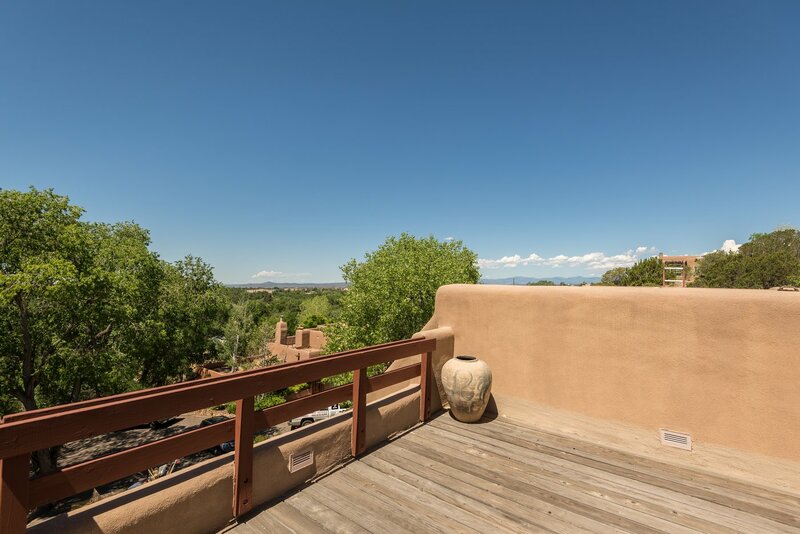 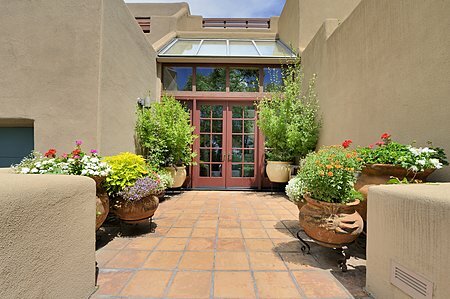 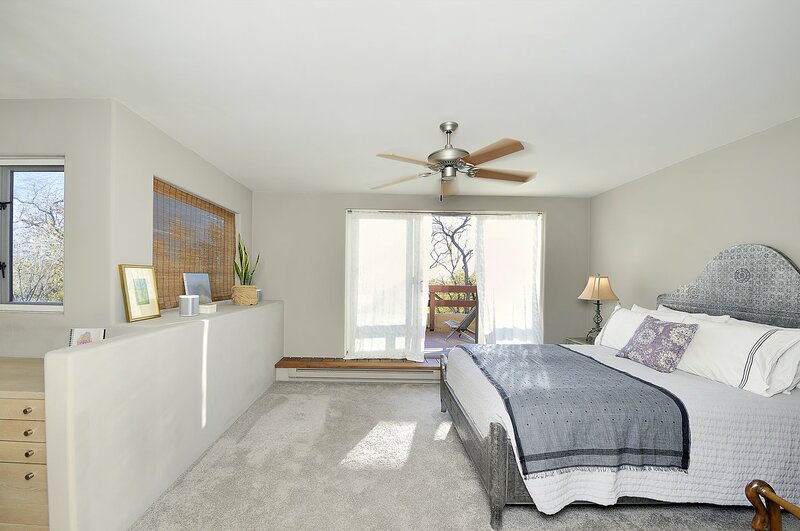 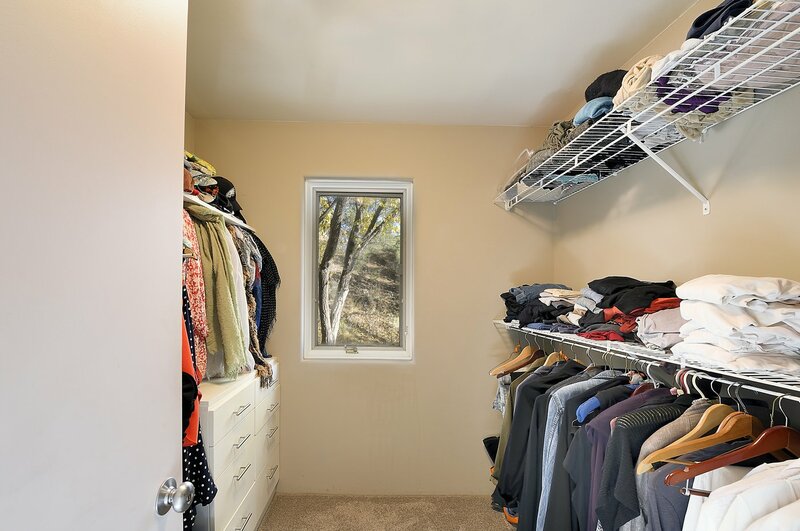 The location is just blocks away from Canyon Road and the historic Santa Fe Plaza with its shopping, restaurants, and conveniences.